Easy knit dress - an indispensable thing in the hot summer days. To associate the spokes, you need to be able to purl and knit the front loop, making obuvki and raise. - knitting needles No. 2. Summer dress should be easy. So it will need a thin crochet cotton yarn. The number of loops for stacked series the for size 44-46, if your size is different, then do the calculation based on their standards. 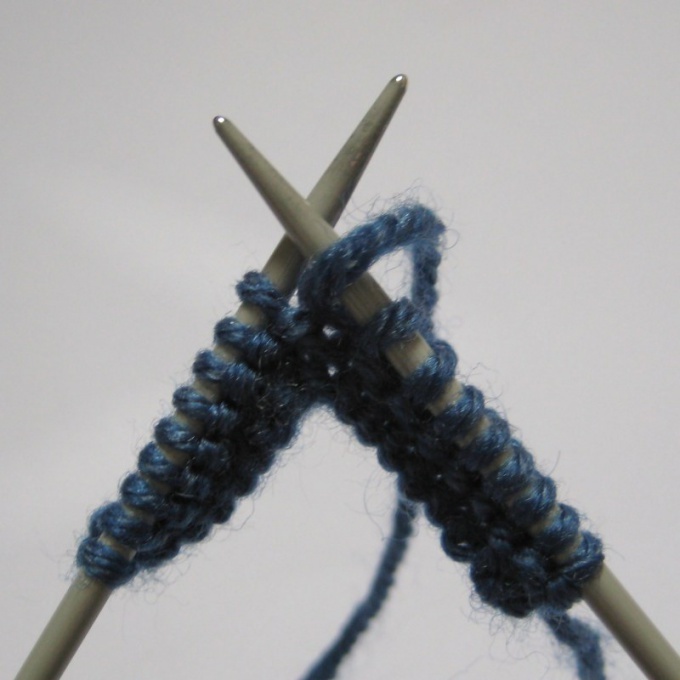 Before you begin knitting, make a test sample to calculate density. For the back dial on the spokes 92 of the loop and provarite 3-4 cm elastic 2x2. Then continue to knit the front stitch 40 cm directly. Begin to subtract in every twelfth row 4 times in one loop. Then knit straight without obivok and increases to the armholes. Start vyvazhivanii armholes. To do this, turn down every third row 6 times for one loop. Further provarite directly 3 number and share of knitted cloth in half. Mark the center of the loop. Close in both sides 12 of the loops and knit, making the neck. To do this, take the neck 6 times for one loop in each sixth row. At the same time turn down for shoulder 3 times for 6 loops in each second row. Knit detail front similar to the back, but at the level of ubavoj to prisalivaya provarite together every 6-th and 7-th loop with nakida. Through one centimeter from the beginning of vyvazhivanija armholes divide the work in half, mark the middle loop and lower loops of the neckline of the front in the same way as on the back. Armhole and shoulder vymazyvaja as well as on the back (see step # 5). Very decorate this concise dress sleeve small wings. Dial on the spokes 26 of loops and provarite 50 centimeters. Tie in 2 symmetrical parts. Put them face inward and stitch the seam over the edge. For borders at neckline dial on the spokes of 150 loops. Proverite 3 cm elastic 2x2. On the sewing machine, run the shoulder and side seams. Vsheyte sleeves-wings. Dress wet, lay on flat and smooth surfaces, flatten and let dry completely. Decorate dress, crochet or knitting, flowers.